Agents can have an unlimited number of chats with agents of the same functional group, such as sales or support, in the same tenant. 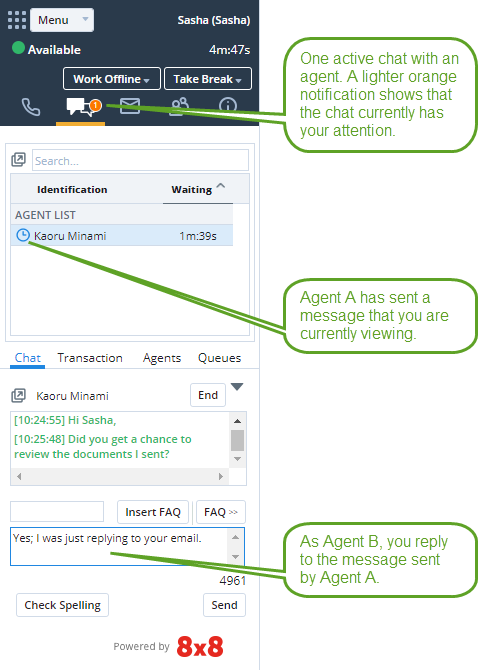 You can chat with other agents in your group to consult, seek advice, or inform of a customer call transfer. 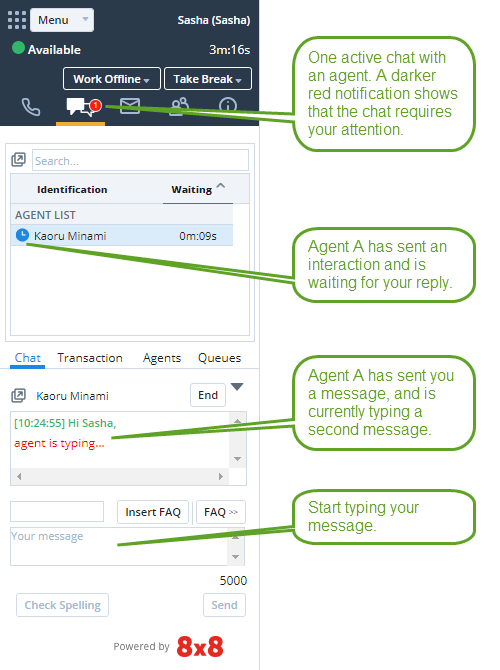 You can initiate an agent-to-agent chat via a menu option in the AgentAgents use the Agent Console to view and manage customer interactions. Virtual Contact Center supports Regular agents and Supervisor agents. Status tab. The Agent Status tab can be accessed via the Status tab in the Control Panel. Click on the agent’s name and select Start a chat from the menu. The chat window opens.